Scrapped in Great Britian in 1938. 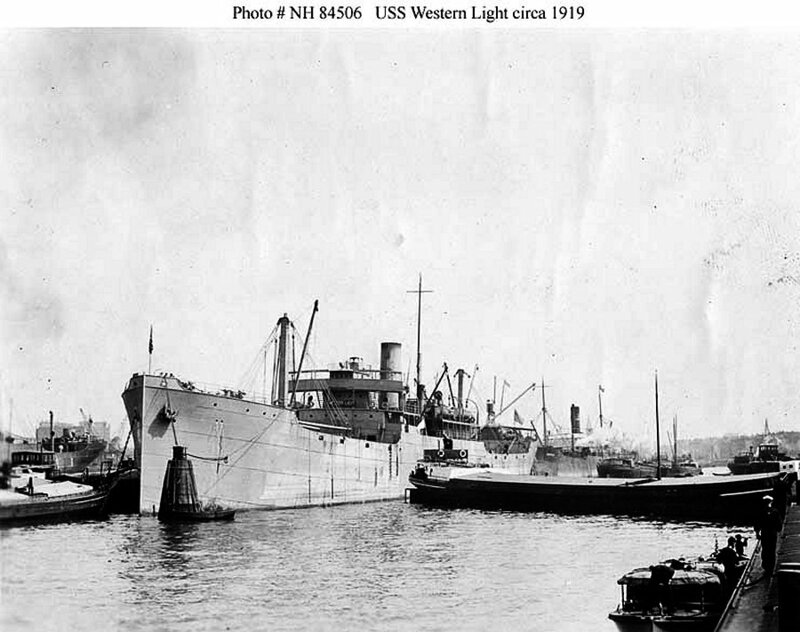 117k Probably shown at Rotterdam in the Netherlands while delivering a cargo of hay, flour and oats in April 1919. 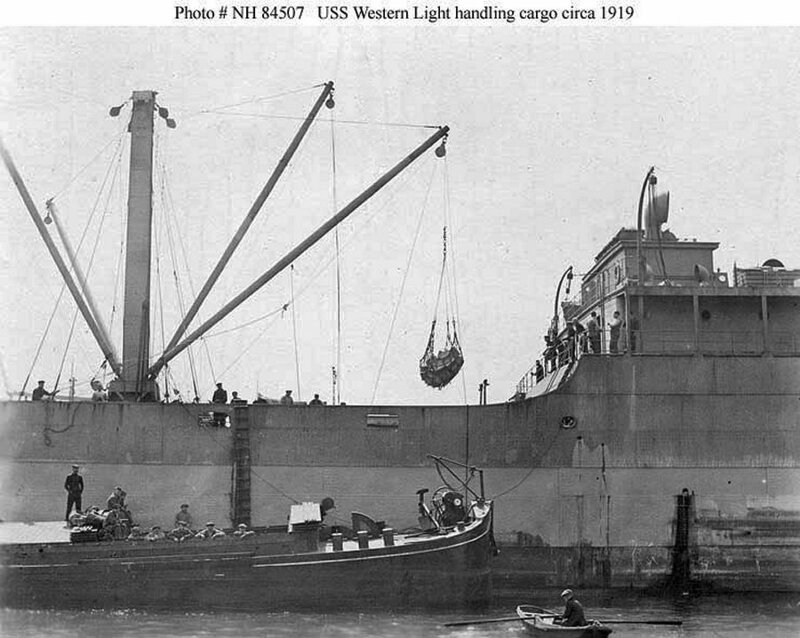 130k Handling cargo from one of her after holds, probably while delivering a cargo of hay, flour and oats at Rotterdam in the Netherlands in April 1919. 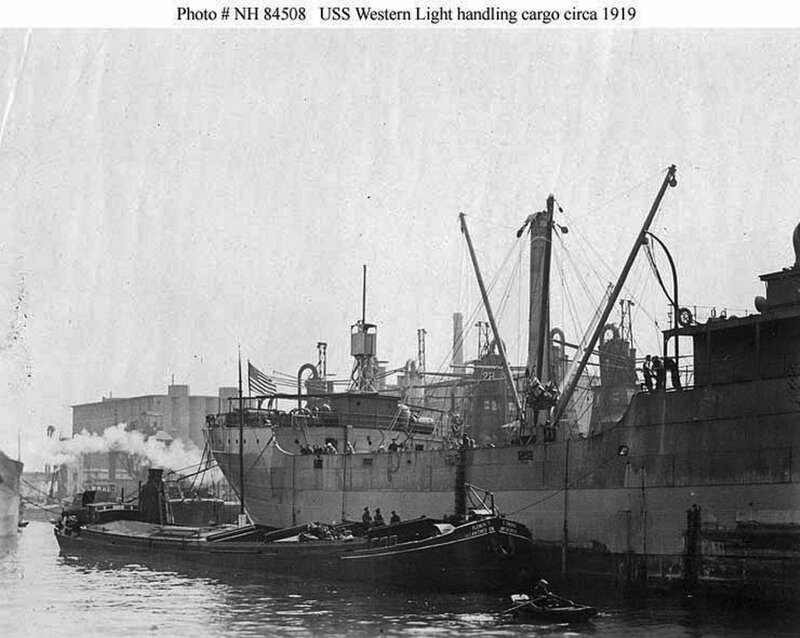 125k Handling cargo from one of her after holds, probably while delivering a cargo of hay, flour and oats at Rotterdam in the Netherlands in April 1919. The barge alongside which appears to be receiving the cargo is typical of those used on the river and canal systems of Northern Europe. Her name is Clemence and her home port is Antwerp.